Everyone who works in the U.S. must obtain a Social Security Number (SSN). This is a government issued number. The ISS Office helps to facilitate the process, but we DO NOT issue the number. The application process will be explained fully during orientation, but there are two things you should keep in mind. You should wait at least 24 hours after you have checked in with the ISS Office after your arrival in the U.S. before applying for a Social Security Number. You must have a job BEFORE you apply for a Social Security Number. Check in with the Office of International Students and Scholars when you arrive on campus. Your SEVIS record must be updated and copies of your documents made. You will sign a contract to attend mandatory orientation. You will be given the schedule for Work Permit Sessions. Attend a Work Permit Session. At that time, you will receive a Work Permit as well as general guidance on how to complete an I-9, a W-4, and a Social Security application. If you arrive after the Work Permit Sessions, check with the ISS office for more information. Click HERE for more information. Find a job. Graduate Teaching Assistant and Graduate Research Assistant positions are considered employment. Take original Work Permit to the hiring department with I-9. Ask the hiring department for the Social Security letter with an original signature which has been printed on department letterhead. Take the letter and your I-20 to the ISS Office to ask for a second signature from one of the Designated School Officials. A template is available HERE. After your information is confirmed by SSA, you will normally receive the card in the mail within 5 to 7 business days. The number will not be given over the phone nor may it be picked up by you at the SSA office. During peak times at the beginning of each semester, a representative of OSU may go to the SSA office periodically to pick up your SSN if you have given permission during the application process. This will be explained in more detail during the Work Permit Sessions. If you have been offered a job but you have not attended a Work Permit Session or received a Work Permit, you may still apply for a Social Security Number. You must have the employment letter as described in Step 5 above. 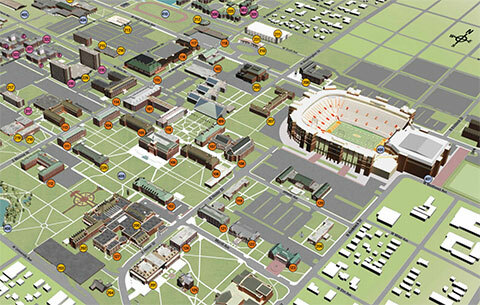 However, you will still need to get a Work Permit to finish the process of working on the OSU campus. Take the Social Security Number to the Registrar’s Office, 322 Student Union, to update your record. If a representative of OSU picked up your SSN, and you received the SSN in the form of a print-out (sometimes called a “numident”) instead of the card, then the SSN was taken to the Registrar’s Office for you. Take the Social Security Number (or "numident") to your employer. If you are from a country with which the U.S. has a tax treaty and you wish to take advantage of that benefit, take your Social Security Number to the ISS Office. You will also need to know your passport number. You must sign forms to receive the benefit of your tax treaty. This will be explained in more detail during the Work Permit Sessions. Employment opportunities for international students are limited by Citizenship and Immigration Services (CIS) and are available only to students who have maintained their immigration status and academic standing. International students at OSU must receive proper approval from ISS before beginning any type of work.